Smoking and use of smokeless tobacco is prohibited on all Central Community College property. No smoking indoors in any building, including residence halls. No smoking outdoors on CCC campuses, centers and other property. No smoking or use of tobacco in vehicles on any CCC property. No chew or other smoke-free tobacco products. No smoking products, including cigarettes, cigars, pipes and any smoking device. 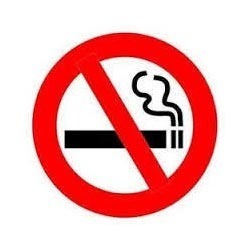 No smoking any substance, including but not limited to, tobacco, cloves or marijuana. Thank you for doing your part to make Central Community College a healthier environment for everyone. The sale of tobacco products and tobacco advertisements on college property is prohibited, with the exception of advertising in a newspaper or magazine that is not produced by Central Community College and which is lawfully sold, bought or distributed on campus property. College operations and organizations are prohibited from accepting cash or other gifts from tobacco companies, with the exception of Nebraska Tobacco Settlement Trust Funds, or funds from any other governmental entity, which was generated from tobacco litigation or tobacco taxes, and which is intended to be used to fund tobacco cessation or other projects at the college. All college administrators, faculty and staff shall be responsible for monitoring and assisting with compliance. Guests at Central Community College shall be informed of the policy and expected to comply. Any employees, students or visitors not complying with this policy are to be referred to the local site administrator. The college president will develop administrative regulations and procedures as necessary to implement this policy, including provisions for notification, signage, disciplinary consequences, complaint procedures and enforcement.